0% Fees – 100% Earnings! No better time to drive with Hitch! 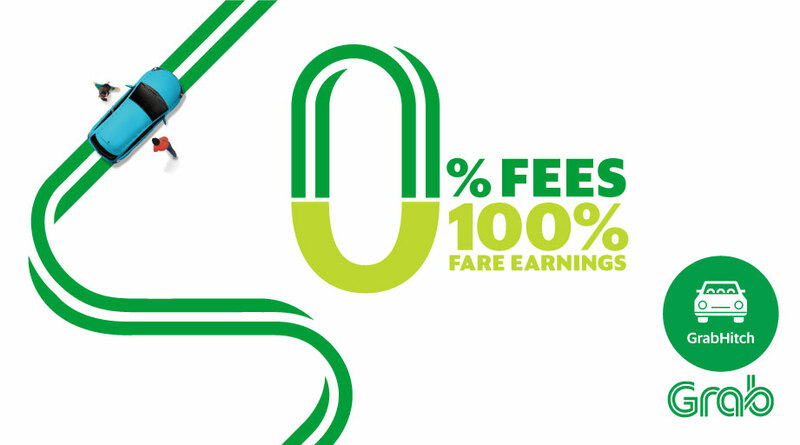 0% Fees to 100% Earnings – No fees with GrabHitch! Wow! We’ve had so much good news this month, we just had to let you know more! Together with the launch of SG-JB route and to celebrate this festive period with our Muslim friends, we are pleased to announce that from now till 31st July 2016, Grab will absorb all processing fees for your rides! This means more savings of up to $100 more for you! There is no better time to make new friends, save on petrol costs and have fun at the same time! So, hurry up! Get out of your comfort zone and meet your next best friend. GrabHitch or get hitched! Know of friends who would be interested? Ask them to sign up using your unique referral code and stand to win fantastic prizes if you’re among the top 10 referrers of June! Start sending your code out now because this referral race ends by 30th June! There will only be 10 individual winners, in the event of a tie the individual who referred first will be selected.